The banking industry must send out a clear message that it is committed to consistently prevent and detect financial crimes, wrote the researches. 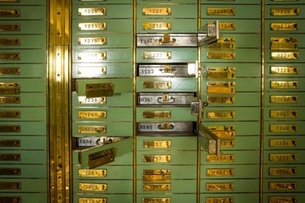 Swiss financial institutions and public authorities must do more to prevent organised crime and money laundering within the financial system, a study by the consulting firm KPMG published on Tuesday has found. The authors of the study called “Clarity on Crime in Financial Services” highlighted several challenges and problems which must be addressed if banks want to successfully prevent and identify criminal financial activities in future. New technologies and digital currencies had made it increasingly difficult to track cross-border cashflows, the study found. But current financial regulations are not keeping up with the speed of recent technological development. Some 50 banks surveyed had deficits in their risk approaches and their IT infrastructures, the researchers found. Banks must also raise awareness of the problem among their employees to help them achieve their compliance goals and reduce costs. What is needed is a sound internal framework which counters the risk of financial crime. Banks must foster a strong compliance culture. The onus is on management to set “an appropriate tone”, which includes enforcing penalties for employees who violate guidelines, wrote the researchers. There is also a need for action when it comes to reporting financial crimes, since it was up to the banks to file high-quality reports to the Swiss Money Laundering Reporting Office Switzerlandexternal link. Good reporting practice would be beneficial for the entire financial market in Switzerland, the authors concluded.